I don't like relying on my "Favorites" to find threads here on the forum. I'm making an index of threads, I frequently link to or use, here. Thanks to Humanoido for the idea of using a Test Forum post as an index. This first post with be an index to the index. Post #10: Servo Info., Say It Info. and Quadcopter Information. (6/4/14) I try to keep the link above set to an active seller. These sellers frequently change what they are selling and the above link will likely be out of date soon. A quick search on ebay for "nRF24L01+" will bring up the active pages selling these transceivers. There is likely a better price for these somewhere on ebay. I didn't look very long for the best deal. I have not purchased transceiver from the seller I linked to above. I have on occasion received a transceiver that didn't work. If you're going to buy some of these, I'd suggest getting at least three modules in case one of the module is DOA. 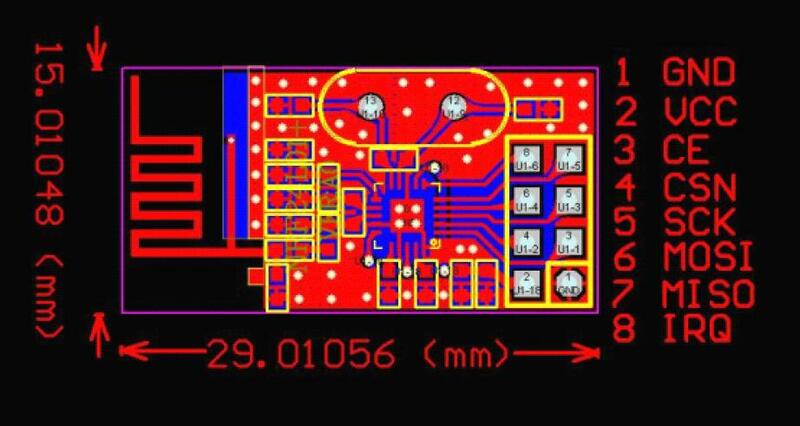 (8/6/13) Added eBay Nordic module schematic and PCB layout. (8/18/13) My Propeller driver for these modules (new driver coming soon). (8/18/13) Ron Czapala's driver for BS2. (2/14/13) I'm now including dates of when a link is added. Hopefully this will make it easier for forum members to find new links. *Listed in other places in the index. 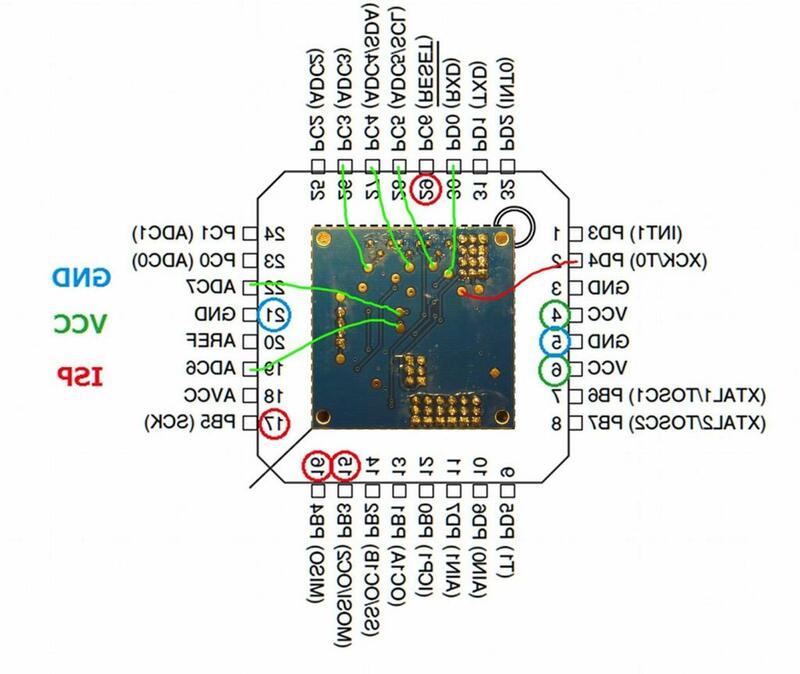 How do I learn to program the Propeller chip? This is probably the best place to start. Mostly Spin. A lot of the the links in above index are also listed here. This is another good place to start learning about programming the Propeller in Spin. These tutorials use the Propeller Board of Education. Here's direct link to Spin tutorials on Learn. The older version of the manual include a section on learning to use Spin. This is the way I learned Spin. Propeller AppNotes Lots of great information. Make sure and take a look a them. Spin and PASM. Nuts & Volts articles by Jon Williams (JonnyMac) I finally figured out how to program with PASM from these. This a good one for learning PASM. Potatohead's tutorial is also here. I personally haven't read these but they are recommended by others and Graham is a smart guy so they should be good. This is a great book. It has lot of information about the Propeller video capabilities. Both Spin and PASM information. How do I use a SD card with the Propeller? How can I tell if my EEPROM is 32K or 64K? Use the program attached to post #24 in this thread. (8/25/13) What EEPROM chips will work with the Propeller (booting from EEPROM)? The datasheet for EEPROM chips apply to both surface mount parts and DIP packages. Apparently there are several different 128K EEPROM chips which may be used with the Propeller. The upper 64K of the 128K EEPROM chips are accessed differently depending on the specific chip's protocol. Mike Green discusses this a bit in this post. (1/9/14) Is there an ANDN equivalent in Spin? How can I interface the Prop with a file on my computer? Use Phil's program to read a write to Windows cvs files. How do I learn to build a robot? I like this book but I'm not a fan of Basic Stamps (Propeller are so much better). The book still teach a lot about electronics which may be applied to a robot controlled by a Propeller chip. If you need help converting any of the lessons to use with a Propeller, just ask on the Propeller Forum. I understand Parallax is working on a Prop-Bot. I look forward to it. Gordon McComb's Robot Builder's Bonanza 4th Ed. The Robot Forum is also a good place to learn about robots. (3/11/13) Another great resource is the Society of Robots. (3/18/13) Great robotics video found on LMR. (3/18/13) If you haven't seen Let's Make Robots, go there! (6/7/15) Chris the Carpenter's "Want to Build a Robot Video." These are great videos for someone deciding if they want to build a robot. What are the requirements for the Boy Scouts of America Robotics Merit Badge? How do I post code in the forum? How do I add large inline pictures? How do I make a word or words a hyperlink? (6/29/14) How do I get the Parallax corporate discount at Rocklin StayBridge Hotel? (8/23/13) Another thread about speeding up sample rate. (8/22/14) Original thread by Laser Developer about creating the rangefinder. 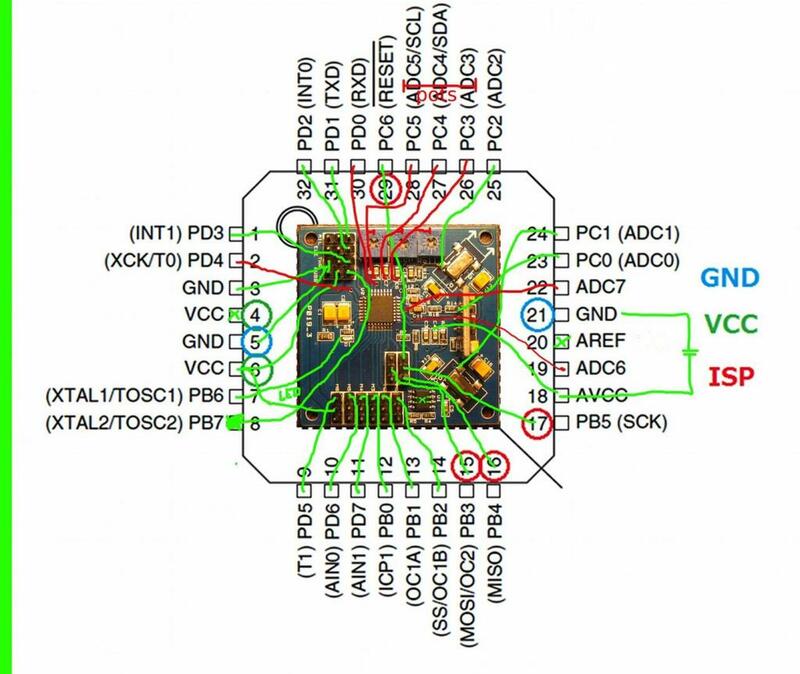 PWM With or Without Counters? Phil's Who needs a speaker amplifier when you have a spare H-bridge? Additional links which had originally been included in this post are now located in this post. 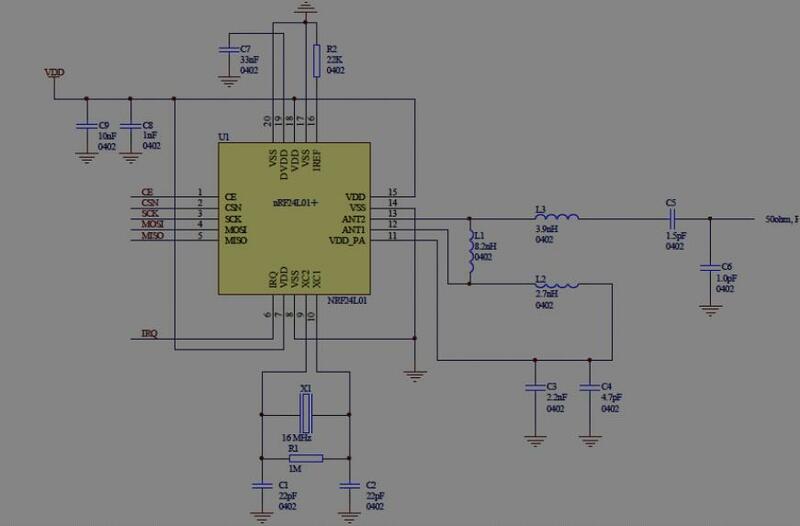 I'm trying to learn to program AVR chips. Mainly so I can program the ATTiny24 on SparkFun's Nordic FOB(see panic button project for more info). I thought I'd list some fo the useful sites I've found here. This ebooks will be here temporarily. This book was deleted on March 5, 2012. I had uploaded this ebook in response to this thread. Robot and Robot Controller Index. (9/26/13) Any plans for Non-C-quot support for the ActivityBot? * Listed in other places in index. This is a good idea. I've had an index here for some time. If everyone made indices, we would have a powerful resource. Keep at it. I considered use the blog area as an index but I like the way forum posts display better than the way blog posts display. You also have to add some code to get links to show up in blogs. I have a bunch of projects I haven't documented yet. Hopefully I'll have more to add to my personal project index soon. (4/11/13) Some links I'd like to find again. (1/9/14) What are your 2014 projects? I know that list is woefully incomplete. I'm hoping if I made an "erco deals I resisted" list, it would be longer than the "buy" list, but I'm not so sure it would be. Duane - just found this... Very impressive and handy. Great work. I'm not as altruistic as this index may at first make me appear. I mainly made this index for my own use. I myself wanting to link to certain threads in my forum replies and I got tired of searching for these same threads over and over again. Most of the items in this index are things I'm very interested in myself. This index doesn't have much (if any) information I'm not personally interested in. I also wanted a place to list my various projects. Another forum member has made a similar sort of index. I thought I had a link to it somewhere in this thread but I couldn't find just now. This other index has a lot of great information. I'll try to find it again and made sure to add a link to it in post #1 of this index (I thought I had already done this). As I've mentioned elsewhere in this thread/index, I got the idea of listing my projects in a test forum thread from Humanoido. I like many of Humanoido's threads listing threads on various topics (serial drivers, Propeller programming languages, multi-Propeller projects, etc.) and wanted to start some of my own lists on topics I'm interested in. I hope you do not mind but I am going to also "borrow" this idea. It will be a great place for me to keep track of threads and links I use and like instead of having to search my favorites. I don't mind at all. I got the idea from Humanoido. I wish other forum members kept a list of their projects and forum threads they think are important or interesting. I think it would be fun to see what others have done and what they find interesting. I use Rich's search page (linked to at the top of post #1) a lot but there are lots of threads which are hard to find through Google or the forum search page. I've found this list of links has been extremely useful. Thanks, I'm hope it helps you find things. Thanks but I disagree about this being made a sticky. A few years ago the first page in the Propeller Forum was half filled with stickies. I was very glad when they merged the stickies into the Propeller Resource Index (there is also a link to the PRI in post #3). Unfortunately with the recent change in Parallax's website, many of the links in PRI are broken. (I hate it when Parallax breaks links like this.) I've tried to fix all the broken links in this thread. duane, you seem like you know your stuff. i am in need of some assistance maybe you can help or point me in the right direction. i work for a tv station making commercials and i am always doing something on a computer. i have carpal tunnel and i believe arthritis is setting in on most of my fingers. i have been trying to mod mice, keyboards, gamepads, and old video editing control panels for some time now with varying levels of success. nothing has turned out like i wanted so i decided to get into the micro controller scene which is something i have always wanted to do anyway. i started with two trinkets from adafruit but they would never connect to my pc, the software would not install. a few days ago in radioshack i purchased two propeller p8x32a quickstart boards, two five position switches, and a few spdt-submini lever switches. i have also been disassembling any human interface device and collecting every button i could find for a year now. i am trying to emulate a mouse and keyboard so i can program hot keys for various applications. i would like to use the 8 touch buttons and the items listed but i have no idea where to start and i cannot find a tutorial that fits my needs please help. My wife has carpal tunnel syndrome also and I've been investigating ways of making a custom mouse. I don't know how to emulate a mouse right now but I'll share what I've learned so far. There was a recent thread on this topic. I'll find the thread and add to this reply in the other thread. Once I find the other thread, I'll add a link to it here. I might not have time to reply properly until tomorrow. I had to reboot after installing in order for my camera to work again. It seems like it might work well in certain situations. I started a thread in the projects forum and included some links to HID information. I haven't done much more than read about the topic so far. Most of the text in this post had originally been part of post #5. Body is 4129 characters too long. Here's the content of what had been part of post number 5 (I miss post numbers).